Jemini Crafts: It's the final countdown. Yes, just a few days now until the brand new Stampin' Up! Annual Catalogue launches on 1st June. 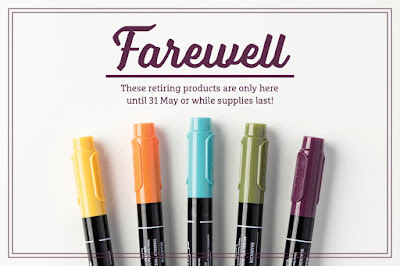 It's your very last chance to get your hands on many of the retiring items from the Spring/Summer and current Annual Catalogue. Many of the items are reduced in price, the best way to see what is still available is to look online here, or to click on the image below. 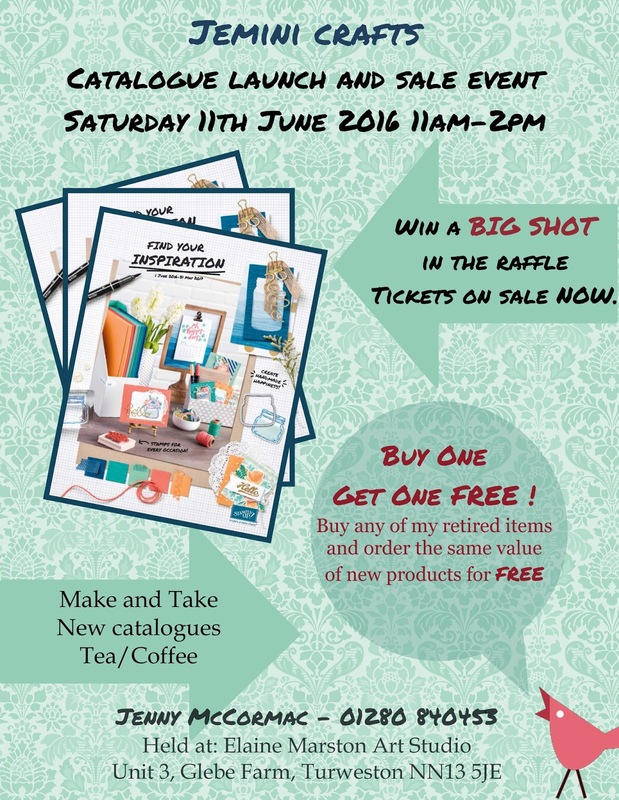 I am busy preparing for the new Catalogue Launch, along with my Buy One Get One FREE sale which will be held on 11th June in Brackley. I have an amazing RAFFLE which you can purchase tickets for - with the main prize being a Big Shot Die Cutting machine and starter pack (worth over £120). For full details, visit my website over the next few days, a summary of the event is listed below. Contact me to book your space. A full link to the new catalogue will be posted on my website during 1st June.